I am incredibly passionate about constantly learning and growing in music. I have seen the incredible leaps and bounds that I have taken in my growth as a musician and I only want to see that for my students. My teaching philosophy is a perfect balance of technique and improvisation (improvisation aids in finding your own voice). Being from a classical and jazz educational background, I understand how important learning technique is. I also understand how finding your own sound, and your own way of delivering the music is just as important as technique. Canadian-Colombian guitarist David Sossa has performed as soloist across Japan, Canada, USA, Mexico, Cuba, Colombia, and Ecuador. He is also a chamber musician, participating with other artists locally and internationally in both live and recorded performance. 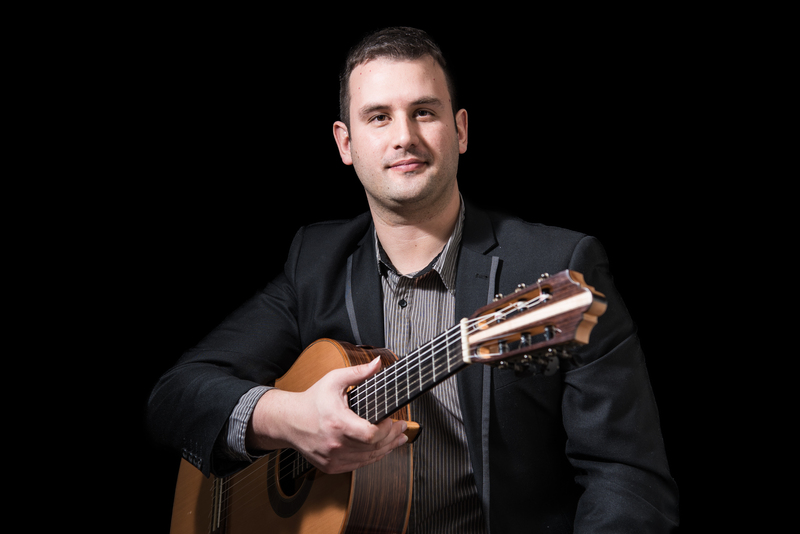 David holds a Master of Music degree in Guitar Performance from The University of British Columbia having received numerous scholarships throughout his studies and career. Currently, David serves as Head of the guitar department at The British Columbia Conservatory of Music. He recorded his solo album released in 2010, and has participated as a session musician in 7 national and international projects. David plays on a 2013 Joshia de Jonge guitar.